11 Easy Steps to Improving your Microbiome and Symbiont-healthy Lifestyle! So today I thought I would share some simple practical microbiome advice! 1. Start noticing how tense, stressed or up-tight you may have become. Dedicate a few minutes several times a day to taking an emotional census of this, then focus on deep breathing and refocusing your attention on a positive, healthy or loving thought and emotion. Notice how you feel afterward! 2. Be honest with yourself about what you eat or drink. I know many people who eat a great deal of sweets or fast food, making an excuse for each time “it’s a reward for such-and-such” or “it’s just a one-time treat” and my favorites “it’s just a little” and “gotta die from something”. All of these statements are simply our imbalanced gut microbiome craving something and then our mind making excuses for not eating healthier. Be honest with yourself and look at what you’re really eating! 3. Sleep is critical-if you’re not sleeping enough it is very challenging to build a healthy microbiome. We should sleep at least 7 1/2 hours per night and preferably 9 when possible. Notice these are both multiples of 90 minutes, which is the typical length of a sleep cycle that the brain goes through. Waking up halfway through one makes us feel sluggish and irritated-complete your sleep cycles by planning on it! 4. Learn to observe your mood, your bodily functions and their timing in relation to your diet. Did you get sleepy, sluggish and mildly irritated after lunch? You may have eaten something that triggered an inflammatory response in your gut, which then affects the brain. Do you cough or sneeze after eating certain foods? This can also be a clue. If you’re not having a daily bowel movement of normal consistency; not loose and not stone; then your gut bacteria/gut/immune system are imbalanced in function and you have homework to do. 5. Eating organic or wild meat or fish is much better than normal store-bought meat. The antibiotic residues in farmed meat that is not organic are sufficient to seriously imbalance your gut bacteria with long-term consequences. I believe this may be one reason that many people get healthier when they eliminate meat from their diet-no meat is better than unhealthy meat. 6. Eating homegrown or organic vegetables and produce helps also, because if it isn’t it probably has significant RoundUp glyphosate on or in it. These residues are very toxic to beneficial gut bacteria. 7. Limit your use of chemicals such as Roundup. It’s poisoning the planet’s microbiome, and it starts with your microbiome. Pesticides and solvents are also quite harmful so if you must use them, wear protection and use ventilation to avoid inhaling fumes. 8. Read and understand the CDC (Centers for Disease Control) guidelines for medical antibiotic use, and hold your doctor to them. It will help you to understand when you really do need them and when you actually don’t. I haven’t personally taken antibiotics in at least 28 years and intent to extend that as long as possible. 9. Drink filtered water or spring water. Sweet soft drinks are bad for gut bacteria, and so is chlorinated municipal water. 10. Eat or drink some fermented foods such as natural sauerkraut or kombucha tea, yogurt (if not dairy sensitive) or kefir. You can even make your own. Along with taking good probiotics (which should be selected specifically based on your microbiome profile) this can help maintain a good population of healthy gut bugs. 11. Learn more about the microbiome and its tremendous effect on health, both physical and emotional. 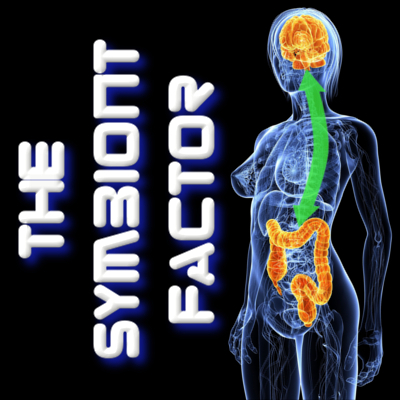 One great starting point, if I might suggest it, is my book The Symbiont Factor which you can find on eBay. I put a crazy amount of work into making it the best referenced comprehensive scientifically based book on the subject. I hope these simple suggestions help you to start your own journey toward a healthier and happier Symbiont lifestyle! This entry was posted in Uncategorized and tagged ADD, autism, bifidum, bifidus, cdiff, clostridium, gaps diet, gut bacteria, gut brain axis, lactobacillus, microbiome, probiotics, ra, rheumatoid arthritis on May 28, 2015 by Dr. Richard Matthews.